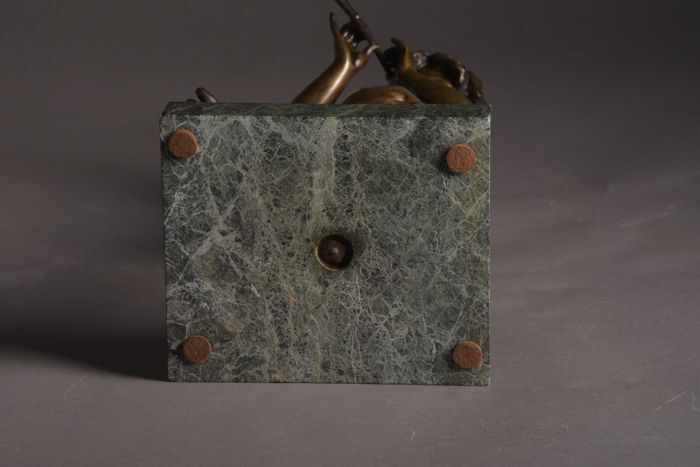 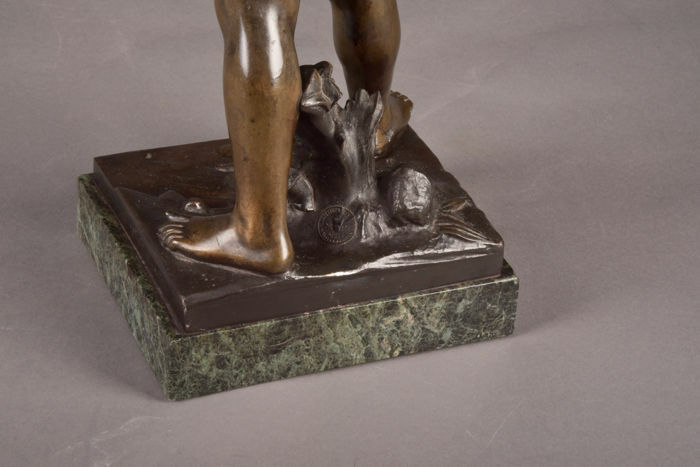 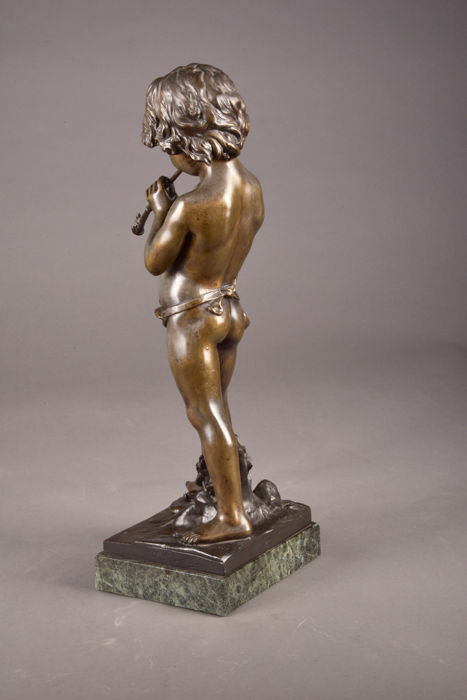 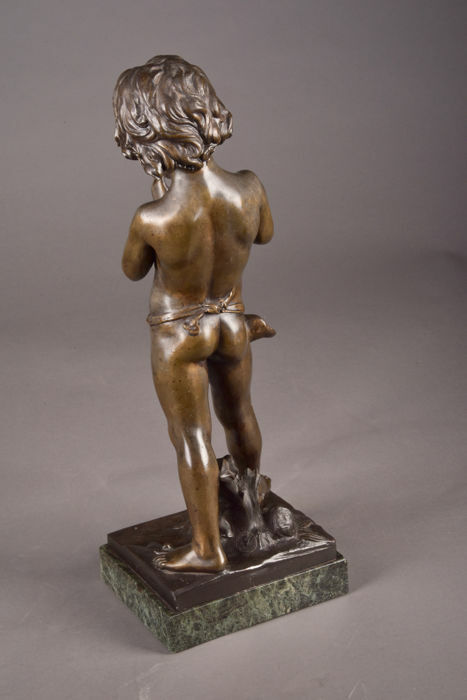 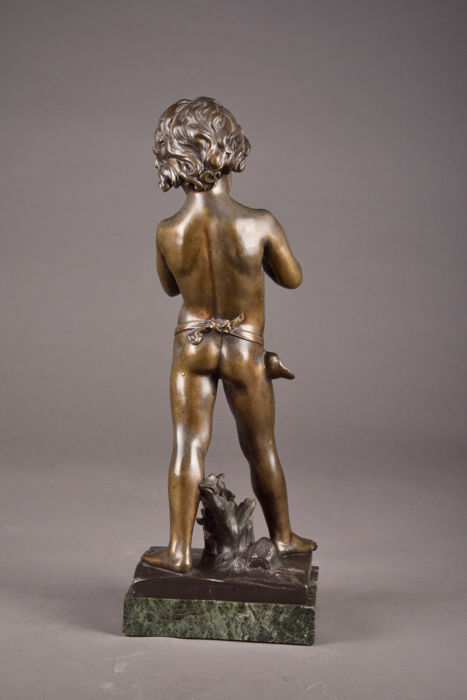 Jean Louis Gregoire (1840-1890), large zamak sculpture on beautiful green marble base. 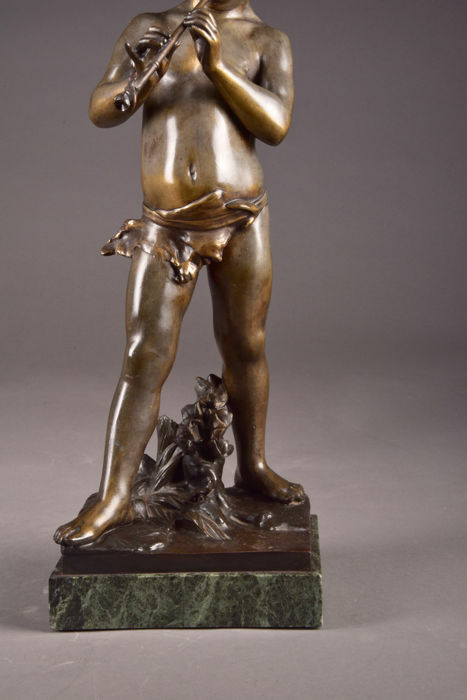 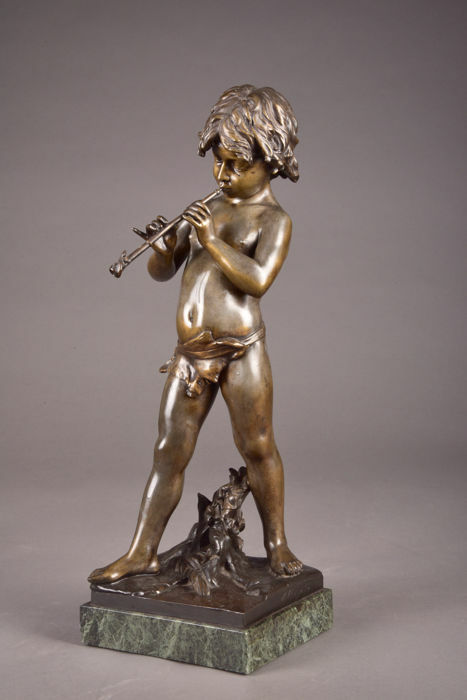 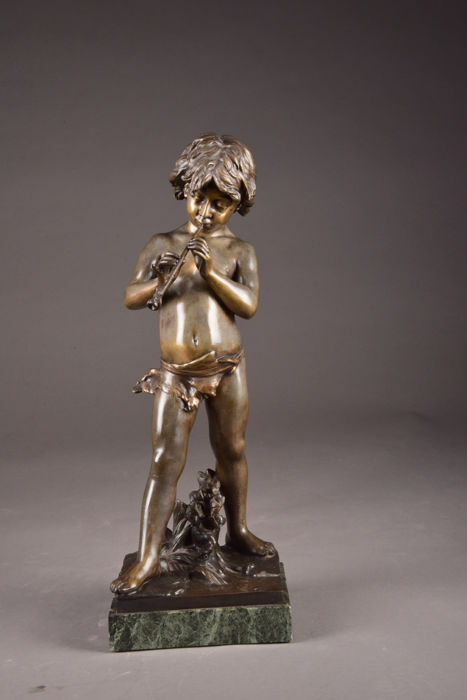 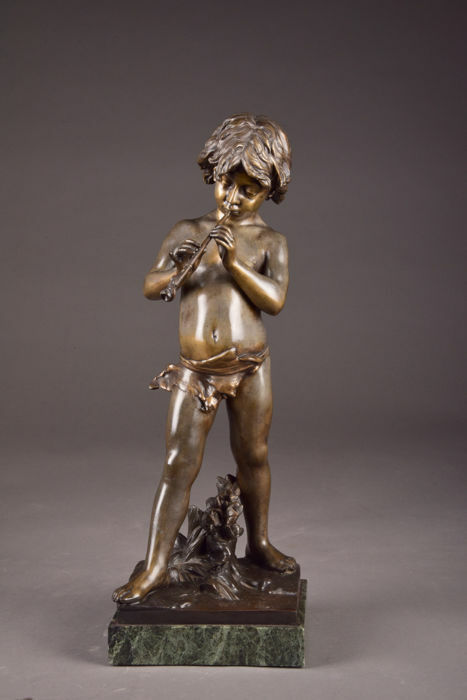 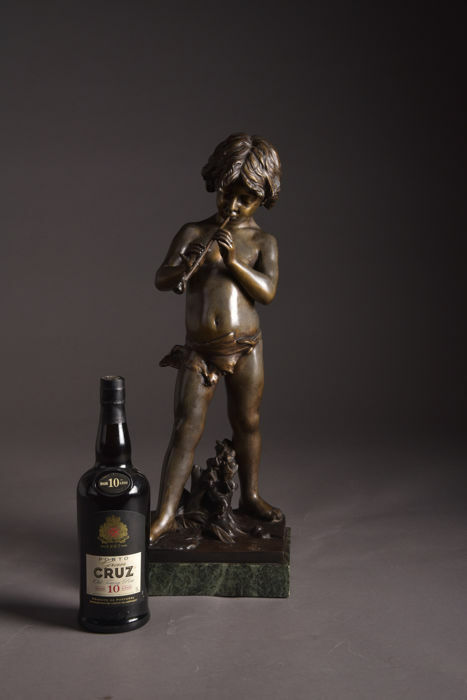 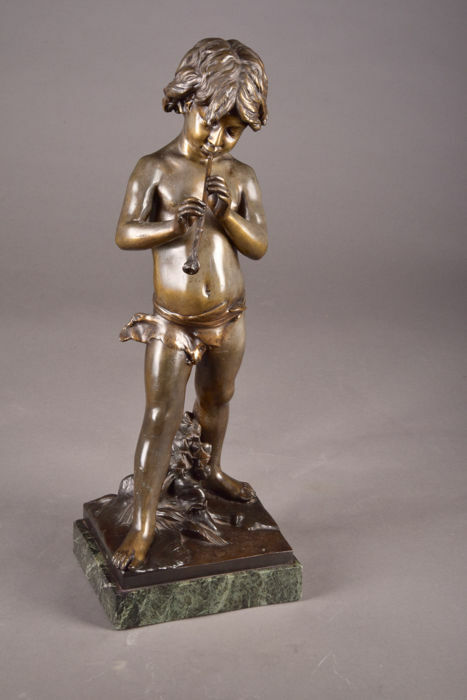 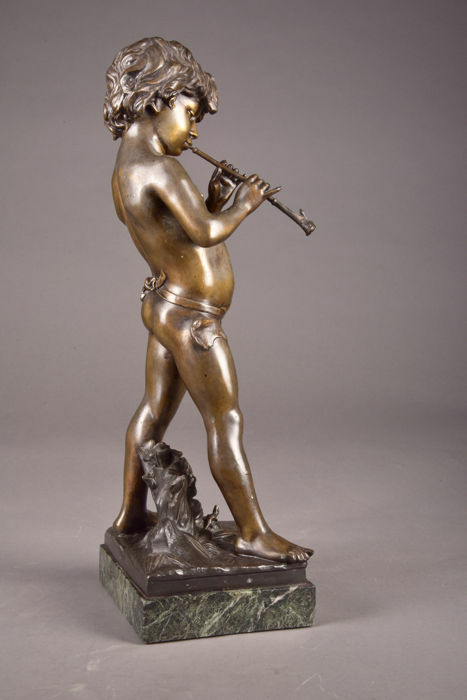 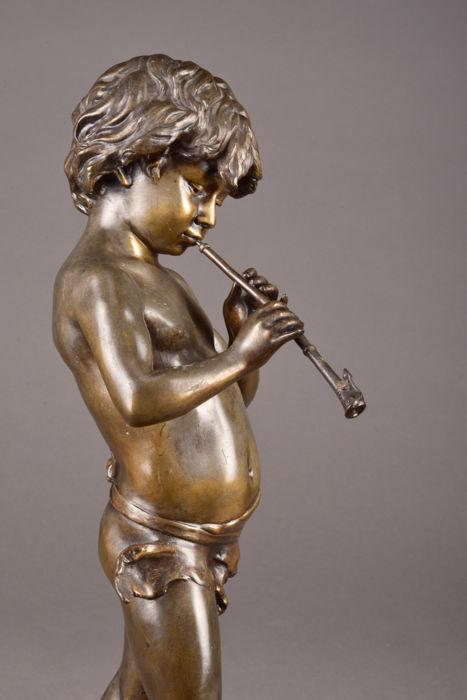 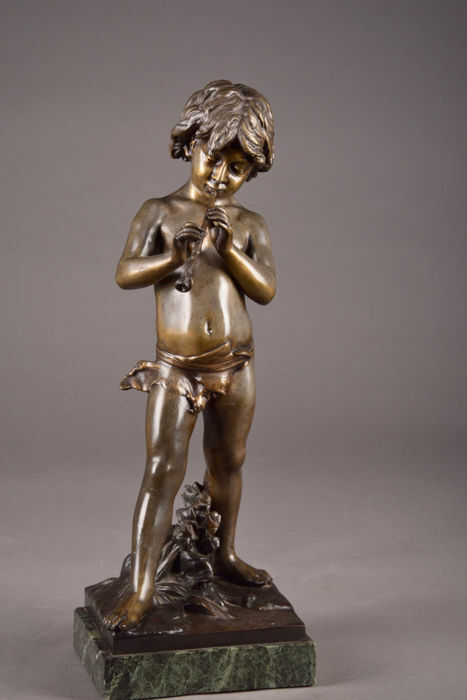 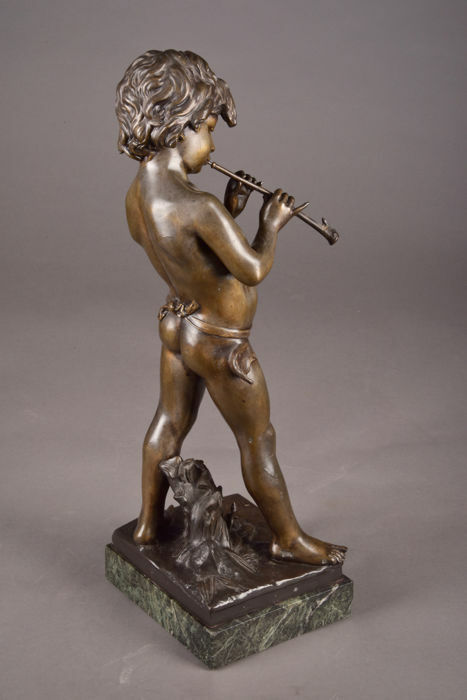 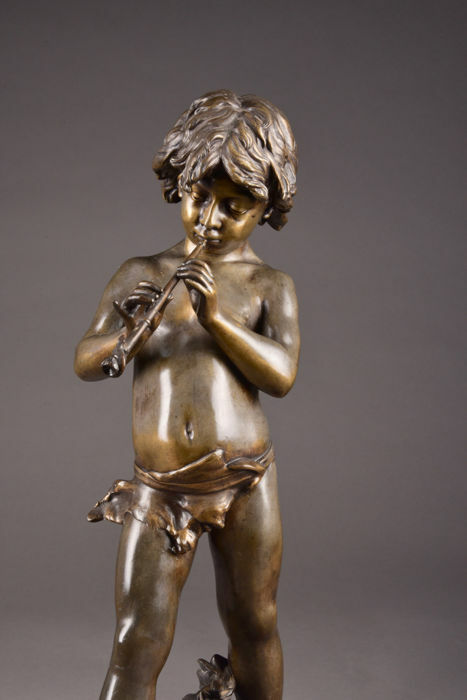 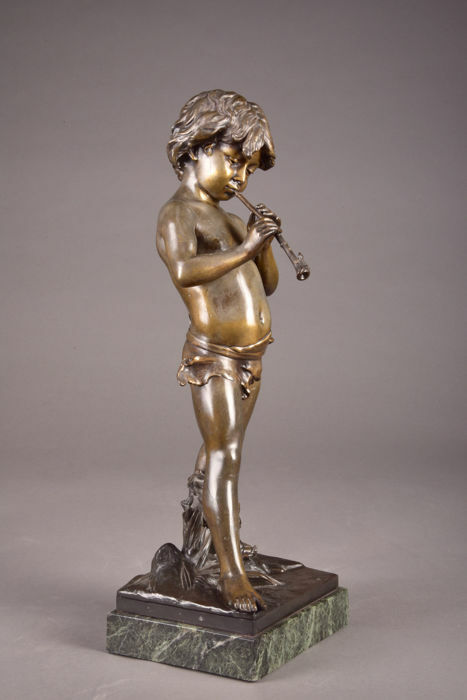 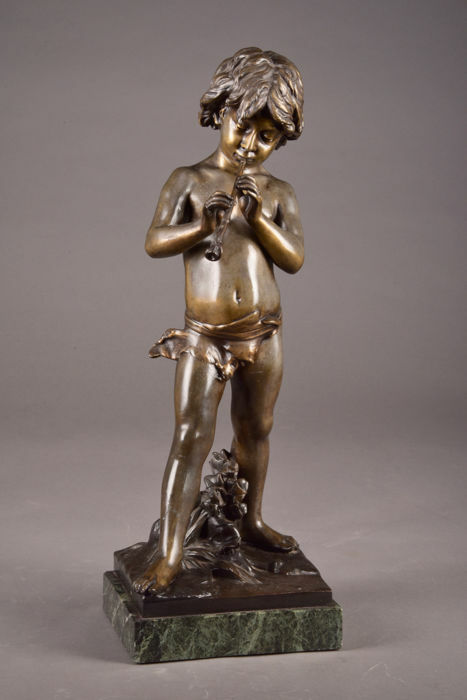 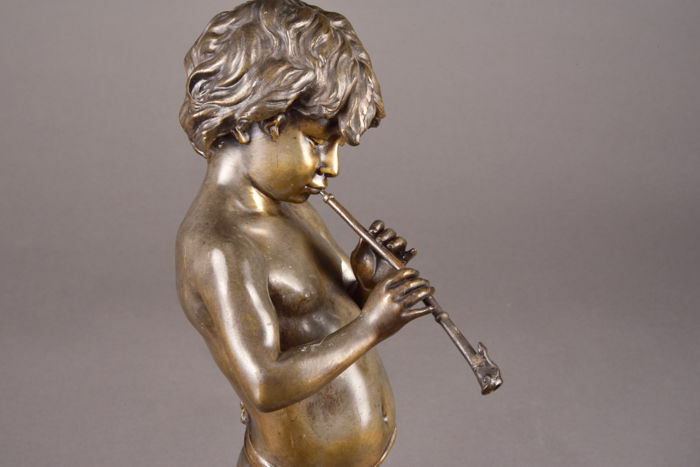 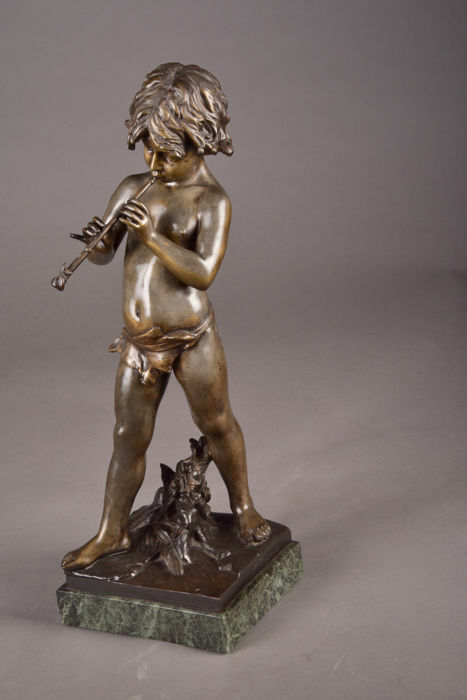 It depicts a boy playing the flute. 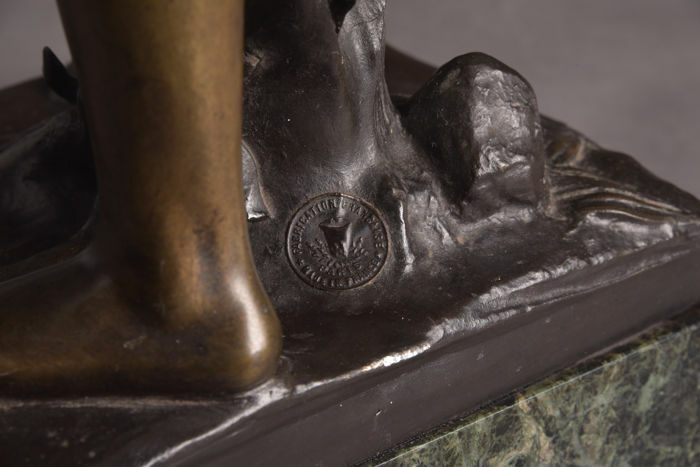 Made in France; marked with foundry mark "Fabrication Francaise Paris". 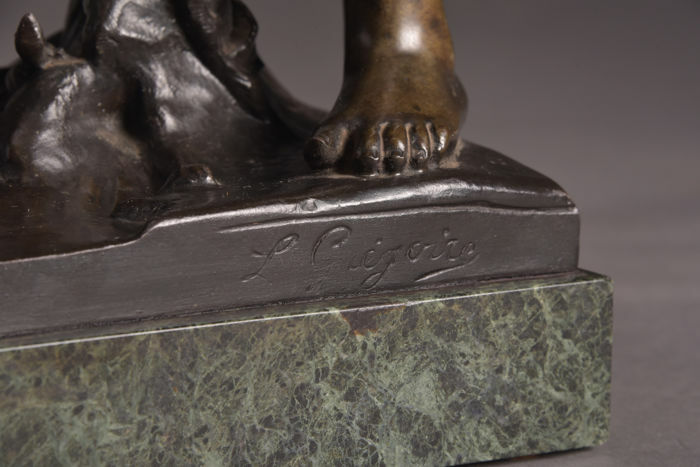 Signed on the left side of the base L. Gregoire. 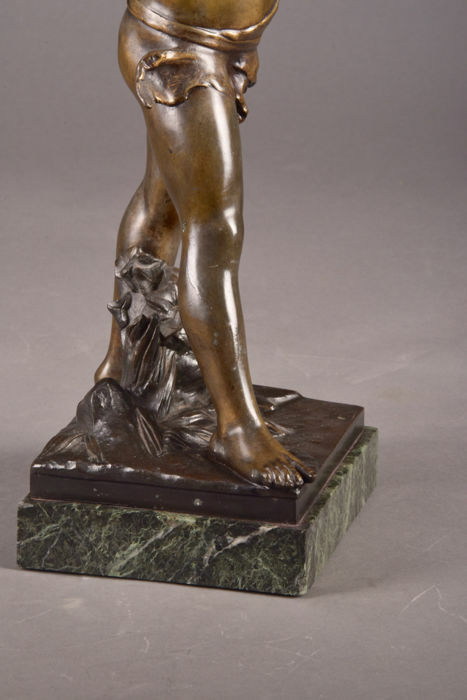 Height: 57 x 21 cm.